It’s easy to become overwhelmed when looking at the price tag of luxury watches. 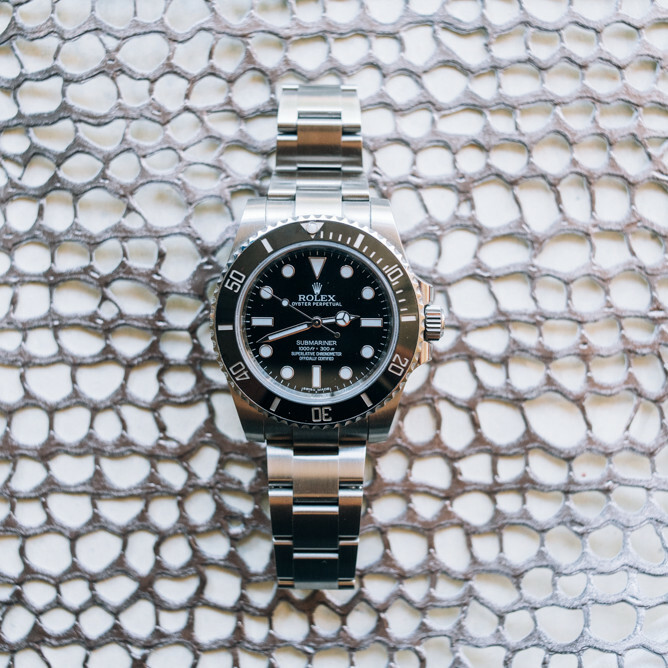 High-end watches can cost upwards of thousands or even hundreds of thousands of dollars. However, you don’t need to break the bank in order to purchase a luxury watch. We’ve compiled our top 10 watches under 5,000 dollars. All of these watches are powered by highly accurate mechanical movements, and each watch was designed and manufactured by a trusted watch brand. So you can be sure that these watches will be worth the investment. To give you as many options as possible, we’ve gathered a wide variety of watch styles, such as dive watches, chronograph watches, dress watches, minimalist watches, and more. Please note that the watches we chose have multiple variations with different straps, dials, and case materials. We chose our favorite variations, but you'll need to visit the brands' websites to see all of the options and to choose which variation best fits your style. The IWC Pilot’s Watch Mark XVIII provides a clean, clutter-free dial to improve readability. Buyers can tell the time immediately with a quick glance at their wrist. This model features a black dial and a black leather strap; however, you can choose between a black or white dial and a leather strap or a stainless steel bracelet. This pilots watch has a classic look that will never go out of style. Features: Luminescent hands and indices, a date window at 3 o’clock, and a soft-iron inner case for protection against magnetic fields. The Breitling SuperOcean II 42 is a dive watch with an ultra-sporty appearance. Divers will appreciate the 50 bar water resistance, the unidirectional rotating bezel, the large numerals, and the luminescent hands and indices. However, this sports watch isn’t limited to divers. This watch can be worn by anyone who is looking for a high-end sports watch to add to their collection. Features: A unidirectional rotating bezel, visible large numerals, and luminescent hands and indices. Although this TAG Heuer Carrera doesn’t quite make it under our $5,000 limit, we felt it necessary to include this incredibly popular watch in our top 10 list of watches under $5,000. This sports watch will be sure to impress with its skeleton dial, black ceramic bezel, and luminescent hands and indices. This high-end sports watch is an everyday watch that can be worn to the gym, the pool, the race track, or the office. Panerai is known for producing highly legible watches, and this Panerai Luminor Marina is no different. This watch features Panerai’s signature large Arabic numerals, luminescent hands and indices, and high-end leather strap. The watch comes in at the top of our budget, but it’s a watch that will never go out of style. Plus, this watch is powered by a C.O.S.C certified hand-wound movement, so you can be sure that the time will be accurate. With its square ceramic case and calfskin leather strap, the Bell & Ross BR 03-92 Ceramic is one of the most unique watches on this list. Similar to Panerai watches, this Bell & Ross watch offers enhanced readability with its large Arabic numerals and luminescent hands and indices. Plus, the calfskin leather strap is sure to hold up with wear because on the inside of the strap is a heavy-duty black canvas. Features: Hands and indices coated with sand-colored Superluminova, antireflective sapphire glass, and a date window between 4 and 5 o’clock. The Tudor Pelagos is a dive watch that won’t disappoint. The watch features a 50 bar water resistance, a helium escape valve, a unidirectional rotating bezel, and white luminescent hands and indices for enhanced readability. This watch not only comes with a titanium bracelet, but it also comes with an additional rubber strap. This allows for the buyer to dress up the watch with the titanium bracelet or keep it casual with the rubber strap. It’s almost like you’re getting two watches for the price of one! Celebrating the 60th anniversary of their first automatic watch, Seiko released this Seiko Presage Chronograph. This watch features an enamel dial and a highly accurate 12-hour chronograph. The watch is powered by the self-winding 8R48 caliber, and you can see this movement at work through the sapphire crystal back. If you want this watch, then you’ll have to move quickly. This is a limited edition timepiece, and only 1,000 watches will be sold. Frederique Constant is known for producing high-end watches with affordable price points, and this Manufacture Worldtimer is no different. The watch features a 24-hour time display with a day-night indicator, a pointer date at 6 o'clock, and the time in 24 time zones simultaneously. Plus, this variation features a world map in the center of the dial. This Frederique Constant watch is a classic timepiece with high-end complications, yet it costs less than $4,000. The Oris Divers Sixty-Five 42 may be the least expensive watch on this list, but that doesn’t show in the quality of the movement or the design of the watch. This vintage-inspired watch celebrates the brand’s iconic dive watch from 1965. The Oris Divers Sixty-Five 42 revives the retro look of the vintage watch, but it’s been modernized using 21st century watchmaking techniques. This dive watch will appeal to both professional andamateur divers with its 10 bar water resistance, luminescent hands and indices, and easy-to-read display. We would be remiss if we didn’t include Nomos on this list of the best watches under 5,000 dollars. Launched in 1990, Nomos is a rather new watch brand, but they’ve quickly made a name for themselves. Nomos watches are known for their easy-to-read dials, simplistic style, and modern appearance. The Nomos Tangente made our list because it features a self-winding in-house movement with a 42-hour power reserve. There are very few watches with in-house automatic movements that are sold for $3,460!